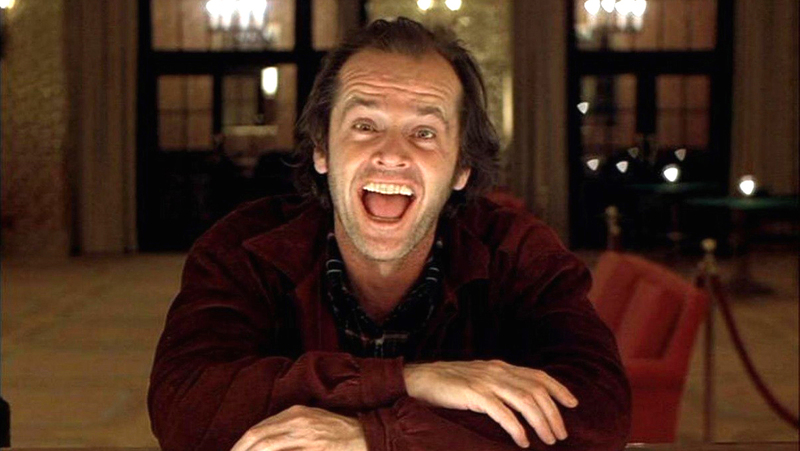 31 Days of Horror - Day 17 "The Shining (Alternate Cut)"
I've considered The Shining to be my favorite horror film for years. It's just so damn good from start to finish yet something always seemed off in recent years when I had watched the film. I couldn't for the life of me figure out why and then I was told there is an alternate cut, that gets rid of 30 minutes of film. That seemed like more film than I remember being extra but then I looked the list of additional footage and every single item rang a bell immediately. I had always wondered why skeleton's had showed up near the end when they weren't there before. And who is this doctor lady checking on Danny? I had originally fallen in love with the alternate cut. See, Stanley Kubrick decided to cut the film for European audiences after he was dissatisfied with that was running in US theaters. Unfortunately, the version that is most commonly available is labeled "Director's Cut" but that is, in fact, the longer version that Kubrick considered inferior. And while I still enjoy the additional scenes, I think that the movie is more rapid-fire intensity versus the slower burn of the US cut. Here's hoping they release it on BluRay for everyone to enjoy (I lucked into a copy, myself). By the way, the video tomorrow at Wolf in a Gorilla Suit happens to be about The Shining, so check it out!